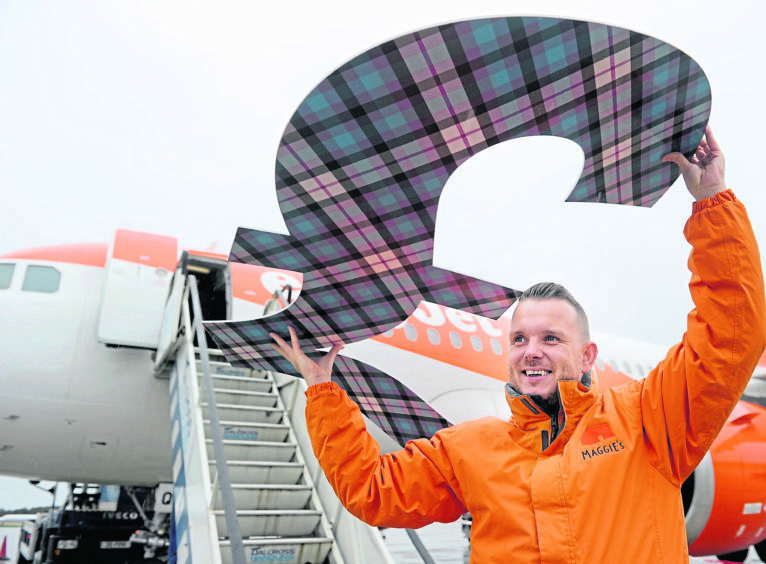 Hundreds of runners have raised a record-breaking £43,000 by taking part in a Run the Runway event at Inverness Airport. Andrew Benjamin of Maggies Highland along with Maggies volunteers and helpers announces the total of £43 000 raised from their recent ‘Run the Runway’ event. Two hundred people turned up to either walk or run the 5km route at midnight on August 25. The final tally raised exceeded the fundraisers’ expectations making it the most successful year yet since the event began five years ago. Representatives of Maggie’s Highlands and Inverness Airport met up with the participants yesterday. Fundraising manager Andrew Benjamin praised the efforts of everyone involved. He said: “It is unbelievable. At the beginning when you see people fundraising you never know how it is going to be but again I think this really highlights the fantastic cause that Maggie’s Highlands really is. The event will return to the airport next year and Mr Benjamin revealed that it will be held on August 31. One of the helpers, Shona Patience, said: “I have helped out the last few years, we sell merchandise and do the raffles on the night. Mrs Patience was joined by her husband David who took part in the event last year. He said: “I think the best part of the night was seeing people run who were going through cancer or who were recovering from cancer.